Houston is THE city where you can get the most diverse, delicious food. Sorry, New York, L.A., and Chicago, but H-Town is the real MVP when it comes to dining. This fact became even more apparent to me when I attended an event to sample local chefs’ entries for the James Beard Foundation’s Annual Blended Burger Project™. Now in its fourth year, the healthy competition challenges chefs to blend mushrooms with meat for burgers that are more nutritious and sustainable. Several of Houston’s top food bloggers, including my friend The Hangry Woman, converged at Kitchen 713, one of Houston’s hot, new restaurants to try the burgers. I was pleased to see a representative from 8th Wonder Brewery handing out samples because burgers and beer are a perfect combination. 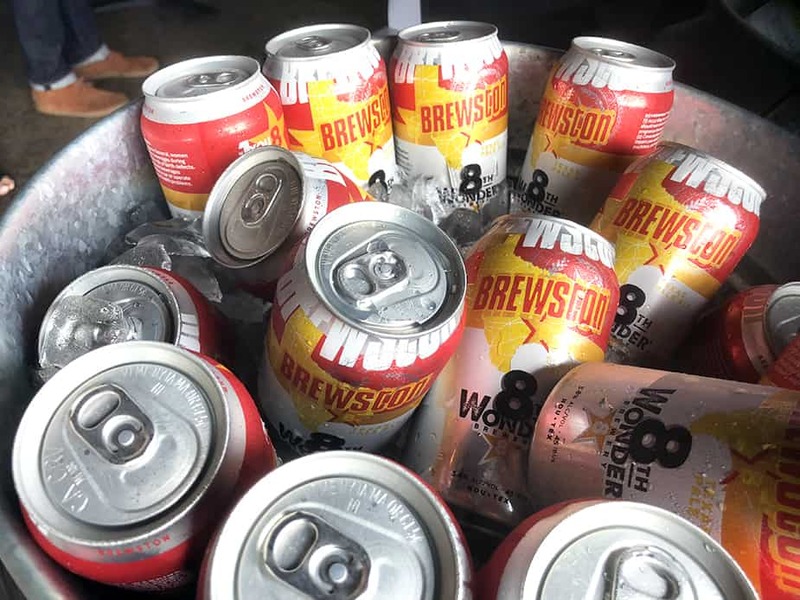 My favorite 8th Wonder beer is BREWSTON, a well-rounded, flavorful Texas Pale Ale that embodies the city of Houston. I also recommend ROCKET FUEL, a Vietnamese Coffee Porter (yes, it is as awesome as it sounds). While the beer was an added bonus, the burgers were the real attraction. 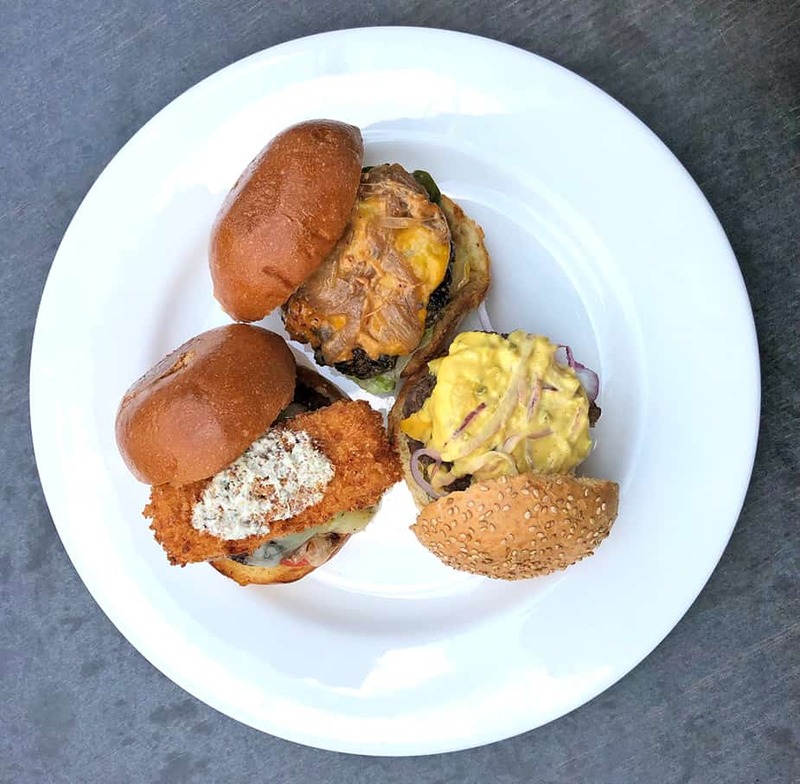 We were served three distinctly different burgers prepared by Chef James Haywood (Kitchen 713), Chef Jonathan Wicks (Hotel Zaza), and Chef Ross Coleman (Kitchen 713). Here are the details of the burgers I tasted (Clockwise starting at top). 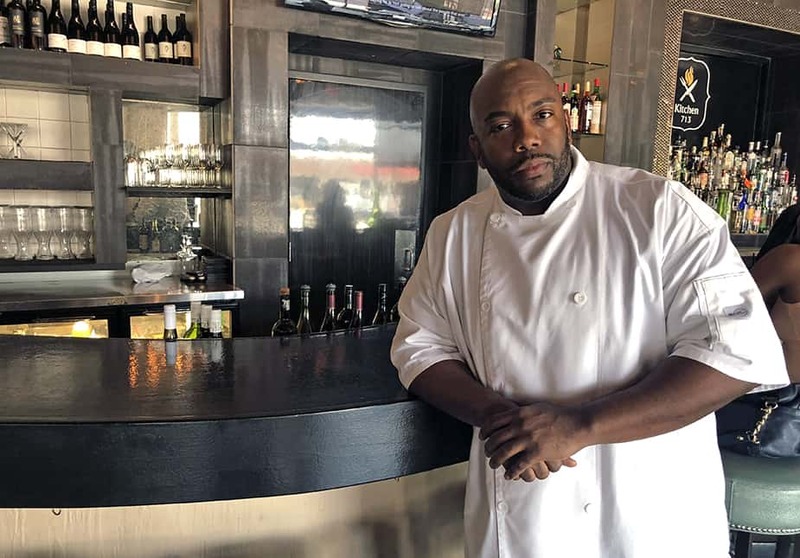 Chef Haywood created a burger patty blend that consists of 50% chuck, 25% short ribs, 25% brisket, 25% smoked crimini mushrooms. Toppings include Confit tomatoes, House-made burger sauce, Mushroom ketchup, Fermented cucumber, Stout beer caramelized onions, and Little gem lettuce. The burger is seasoned with Koji and shiitake mushroom powder. Chef Wick’s blend includes 25% mushrooms (king trumpet and hen of the woods), 20% brisket, 20% sirloin, 20% beef neck, and 15% oxtail. All meat was locally sourced from Black Hill Ranch. The burger sits on a brioche bun with sesame seeds locally sourced from slow dough bakery and is topped with American cheese, house made bread & butter pickles, shaved red onions, shredded iceberg, and burger sauce. Seekh burger: 75% ground lamb, 25% King oyster mushroom, brown beech mushrooms, green chutney, fried paneer, tamarind chutney glaze, raita purée, challah roll. Each burger was interesting and delicious in it’s own way. I admire the chefs’ creativity and how they were able to take the All-American hamburger and elevate it into something divine. If you’d like try a blended burger, you can visit participating restaurants May 28 – July 31 and vote for your favorite burger online. In August, a panel of judges including Andrew Zimmern, James Beard Award-winning TV personality, and Susan Westmoreland, Culinary Director, Good Housekeeping, will review the 20 restaurants with the most online votes. The top five winners will then be selected based on the most creative use of mushrooms, best flavor profile and presentation.